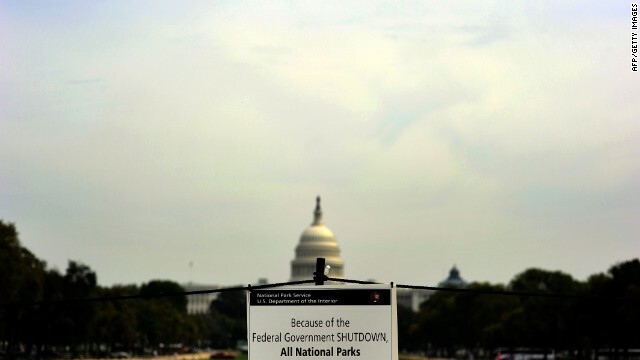 The federal government shutdown, and Washington itself, are under the media microscope around the world. The political meltdown is being watched with confusion, concern, disgust and even some gloating. At Thursday’s State Department briefing, spokeswoman Marie Harf gave one example. “So that’s the message we’re putting out around the world,” Harf added. “We talk a lot about democracy and good governance and institutions, and we have the best of that in the whole world, but right now, we’re not living up to all those standards." Harf said the shutdown is destructive not only to the State Department but the nation’s foreign policy and the costs are growing daily. Some examples, she said: the Department of Homeland Security’s federal law enforcement training center in Glynco, Georgia, is closed and that means new diplomatic security agents may be delayed in obtaining initial federal justice training. Strengthening diplomatic security abroad, in turn, is being affected. New security enhancements and upgrade projects around the world depend on FY 2014 money but that money is no longer available for some of the enhancements recommended by the Accountability Review Board that investigated the deadly terror attack on the U.S. diplomatic mission in Benghazi . Security assistance funding for Israel for fiscal year 2014 is not available and could be delayed, Harf said. And there is no new funding for supporting the peacekeeping mission in the Sinai between Israel and Egypt. During a time of delicate diplomacy with Iran, the Treasury’s Office for Foreign Asset Control, (OFAC) has furloughed almost all of its staff. Because of the shutdown, President Barack Obama’s trip to Asia this weekend has been curtailed and the White House still isn’t confirming whether the overall trip will take place. 1. Thinks republicans are conservatives. 5. Probably retired and depending on SS and Medicare or will be the person most likely to need SS and Medicare. 7. Actually thinks republicans represent THEM! remember: the 1% ers in America are would be illegal Allians with real and meaningful allyences to other forign Nations like the UK like Isreal like China in no particular order of course...Its time for Nations to put on their Big Boy pants and eat the US deficit. so there is some consensus around letting the World eat the US deficit this month so the US can get a fresh start and off the Israelie chains that bind Americans noting: the repubes worked very very very hard to fuc-up the HCR legislation so that only a Capitalist-Pig HC model nicknamed Obamacare would pass to the delight of so many Corporations. PS: the Bush attacks on the motherland by way of War was very very absolute...someone has to pay the tab now cause their aint nothing more you can squeeze about of the 99%. If the republicans has introduced a single payer system (the ONLY system that will allow us, as an entire nation, to negotiate better health care prices), we wouldn't have to worry about Obamacare today. But since the republicans introduced NOTHING (as usual) to address the health care crisis, we now have Obamacare. Blame the republicans for Obamacare. After all it was their idea, supported by the Heritage Foundation, and implemented by Mitt Romney!!!!! America's real enemy is Israel. IS EVERYONE AROUND THE WORLD READY TO PUT THIER BIG BOY PANTS ON AND EAT THE US DEFICIT THIS MONTH? I bet by now other countries and their leaders must be laughing themselves into a frenzy over the very stupidity of our Congress and the President in shutting this government down! The public itself is not free of blame in this fiasco as they keep on electing these right-wing fools into office time after time. The question here is, just when is the average voter ever going to learn better?